Cowboy Charters, is not your typical Freeport or Galveston fishing charter, it's a Gulf of Mexico deep sea fishing adventure! We are a full time first class deep sea fishing charter company that runs out of Galveston and Freeport. We run hard and fish further than the average Gulf Coast fishing charter companies out there. We leave the dock for fishing before the others and return after they have sent their customers home. Our full day offshore fishing trips are at a plus fuel rate, and we will work hard to not just earn our money, but more importantly earn your repeat business. Our crew is conscious of the fuel burn, and will work hard to put you on the fish of your choice.With our offshore fishing trips, you will not sit on anchor or spend your day tied to an oil rig within sight of the beach.We do not shortcut your opportunity to up our profit margin, and we do not employ young fishing captains with minimal experience. Please feel free to call Captain Mike @ 979.864.9439, he would be happy to explain the advantages of our Gulf Coast fishing trips, and give you a working knowledge of how charter fishing companies operate, so that you can better gauge how the bargain or cheap flat rate trips are only to the advantage of the charter company. 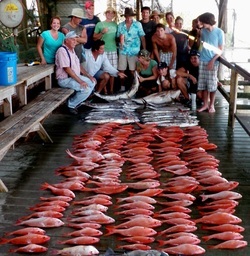 You won't find a better value in Galveston fishing charters or Freeport fishing charter company! Come Enjoy a day of deep sea fishing off the beautiful Texas Coast. At Cowboy Charters, we specialize in private guided fishing trips for reef fish such as Grouper, Amberjack and Snapper, along with many Pelagic species such as Wahoo, Kingfish, Cobia and Dorado. our Fishing Guides will Work Hard to put you on the fish of your choice. We provide all Rods, Reels, Tackle, Ice, and Dead Bait needed for your trip, but you are more than welcome to bring you favorite set up if you prefer. The warm waters of the Gulf of Mexico make for fantastic fishing and your adventure starts here! 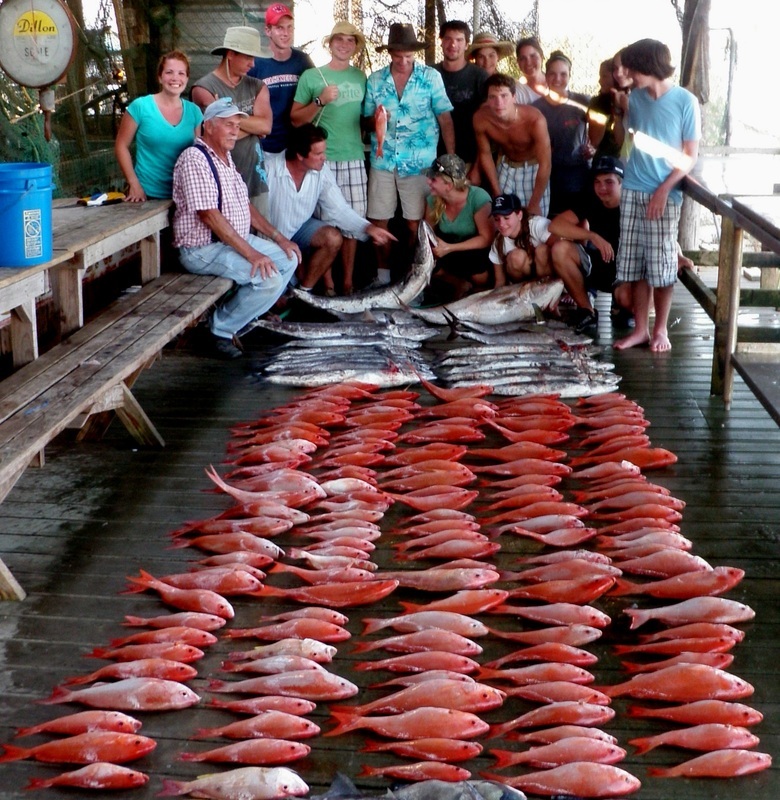 We appreciate you visiting Cowboy Charters, serving the Texas Gulf Coast Fishing community. We are fully licensed, insured and N.M.F.S. permitted. Children are welcome! it speaks volumes about our commitment to satisfied charter customers.